It happens to all of us PC gamers. We install our brand new game, boot it up, and experience unsatisfactory frame rates and choppy, sluggish gameplay. Granted, from time to time, the fault lies with the game being poorly optimized or having inadequate video card drivers, but more often than not, our computers have just aged to a point of growing ever closer to obsolescence. We then face a difficult decision: upgrade, or get a new system? And then, assuming we choose to upgrade, which component would yield the greatest improvement in performance for the least amount of money? The answer to that question will obviously vary on a case by case basis, but usually a replacement video card, an increase in system RAM, or a new CPU will smooth things out. Though such upgrades can often be expensive enough that a new system is preferable. However, there is an unusual answer to the question that is becoming more and more popular. Oddly enough, it can be the hard drive that the game is installed on that is the bottleneck, especially when running a game that is constantly feeding data to the RAM, such as an MMORPG, or any kind of open world game. Adding a solid state drive to such a system could fix inconsistent frame rates, and will provide many additional benefits. There are also some challenges that come along with this new technology. This article will discuss how gamers can get the most out of utilizing a solid state drive in their rig. The primary benefit of a solid state drive over a traditional hard disk drive is speed. Solid state drives contain no moving parts, and can read and write nearly as fast as RAM, making them perfect for launching software, loading large files, and generally making a computer zippier. Solid state drives also do not require defragmenting and, in fact, should not be defragmented as the process will severely shorten the lifespan of the drive. For games, solid state drives will dramatically reduce load times, allows textures to load faster, so that you see less texture popping, and, in many cases, provide a smoother, more consistent frame rate. Such performance does come at a cost, both figuratively and literally. A 120GB solid state drive on Amazon costs around $199, while a similarly priced hard disk drive offers 25 times the space for about the same cost. With solid state drives carrying such a premium for a limited amount of space, in most cases they will act as a new component to compliment an existing hard disk drive, rather than replace it. With that being the case, one of the key issues to consider is what exactly should be installed onto the solid state drive, and what should be installed onto the hard disk drive. Many people fill up the solid state drive with their favorite games, and it runs out of space far too quickly. They also sacrifice the advantages of having the operating system installed onto the solid state drive. Before installing any games, the key to a reliable gaming rig is a clean installation of Windows. A fresh Windows installation on a solid state drive will speed things up across the board. The computer will boot up faster and programs will launch and perform faster. Although the Windows installation and program files will consume a significant chunk of the solid state drive, the increased responsiveness and faster load times are worth that investment. Games will take advantage of this too, especially in instances of multitasking. With 120GB being a fairly average size for a solid state drive (and for the purposes of this article), we can expect at least 60GB to remain free after the installation of Windows and common non-gaming software. That is more than enough space to install a few games, but choosing the right ones is important. 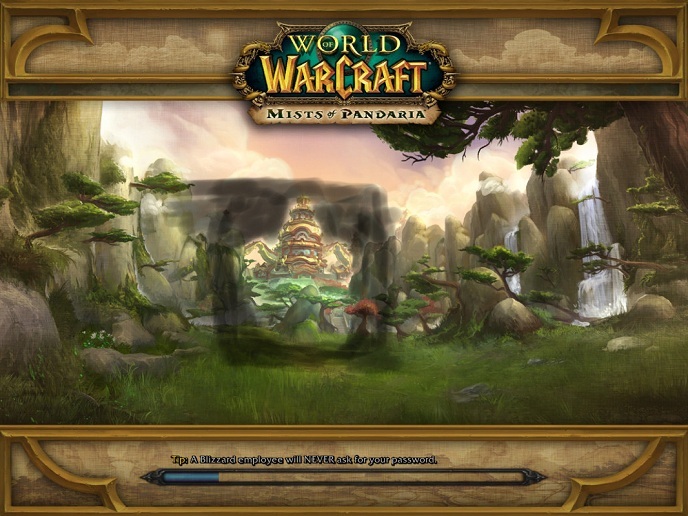 World of Warcraft is an example of a game that takes advantage of being installed on a solid state drive. Initial load times will be reduced, and if you load the game in a heavily populated area, it will take much less time for all the player characters to appear in game. There will be fewer drops in frame rate while exploring the world as well, and major cities will load much faster. Grand Theft Auto IV and The Elder Scrolls V: Skyrim are also good examples of games that constantly access the drive, suffer from long load times and will take great advantage of being installed onto an solid state drive. League of Legends on the other hand is a game that does not really need to be installed on a solid state drive. When installed, matches will not load any faster because although the system with the solid state drive will finish loading the fastest, the player will still have to wait for all of the other player’s computers to finish loading anyway. Also, the game itself is loaded in its entirely prior to the start of the game, and does not need to access the hard drive heavily during play. A solid state drive is is a significant upgrade to any computer, but is especially useful for gamers. By installing Windows, programs, and specific games onto a Solid State Drive, gamers can experience a faster loading operating system with software and games that run quickly and perform smoothly. And if the lack of space on the solid state drive is too limiting, continue reading to learn how to make the most out of a small or full solid state drive. But before we begin, the steps described below are for informational purposes only. Gamer Horizon and its sponsors take no responsibility or liability for any possible data loss or damage. All games should be installed first onto the computer’s hard disk drive, not the solid state drive. Platforms such as Steam, Origin and Desura should be configured so that any games they install are also placed onto the hard disk drive. Once a game is successfully installed, there is a method of moving it onto the solid state drive (and back) without interfering with its installation, updates or mods. Using this method, advanced users can pick and choose which games should be on the solid state drive and when, thus enjoying the benefits of having both the operating system and games running on the solid state drive, while simultaneously being free of space limitations. First, visit http://www.traynier.com/software/steammover and download Steam Mover. Steam Mover is a user friendly tool for creating junction points in Windows. The program can move a folder (such as a fully installed game) from one location to another, and then set up a junction point so that the system behaves as though the folder has not been moved at all. In our case, Steam Mover will take a game that has been installed onto a hard disk drive and move it to the solid state drive, and set up a shortcut of sorts that will trick all programs into thinking the folder has not been moved. Steam and other platforms will still be able to keep your games up to date, mod managers will still function correctly, and best of all, the games will run great. When running Steam Mover, there is a place for two folder locations at the top of the window. On the top left, there is a folder location labeled “Steam Apps Common Folder”. By default, this is the folder where Steam installs games. A different folder (such as the location where Origin or Desura installs games) may be selected at any time, so Steam Mover can manage all of your games, even if they are installed in multiple different folders or drives. On the top right, there is a folder location labeled “Alternative Folder”. This is where Steam Mover will transfer the folder of the game you want moved. In my case, I have it move games to C:SSD Games which exists on my Solid State Drive. In the body of the application you will see the contents of the top left folder listed (hopefully a series of folders containing games), with arrows pointing to the left indicating that they have not yet been moved by Steam Mover. Selecting one of those games and then pressing the right arrow on the bottom left corner of the window will move the selected game folder onto the solid state drive. When the process has finished, that game will appear on the list with an arrow pointing to the right, indicating it has been successfully moved. In the example above, Mass Effect 3, and SimCity 4 Deluxe Edition remain on the hard disk drive (D:) in the Origin folder, while The Sims 3 and all of its expansions have been moved to the solid state drive (C:) in the SSD Games folder. At any time, a folder can be moved back to its original installation location by selecting it and pressing the left arrow on the bottom left corner of the window. It is recommended that games be moved back to their original install location prior to uninstalling them. Using Steam Mover to move games to and from a solid state drive is a means of overcoming the inherent space limitation of the technology while also taking advantage of the surplus of space available on today’s hard disk drives. With that limitation overcome, even a relatively small solid state drive can be worthwhile upgrade, and with prices coming down and sales becoming frequent, now might just be the right time to invest. With reduced loading times, smoother gameplay and a more responsive operating system, any computer properly utilizing a solid state drive becomes a better computer. It is a significant and worthwhile upgrade for any gamer, and I recommend it wholeheartedly.